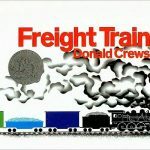 Every Wednesday I will post a great book for you and your child to read together. There will often be a simple craft or activity to go with it to further promote reading comprehension, vocabulary, and communication. Ok, ok. It’s not Wednesday anymore. But better late than never right? I love how simple the illustration is in these stories. All this magic from one little crayon? That’s what we call imagination. 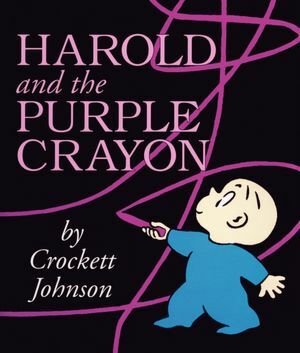 Every story speaks for itself but they are mostly about the adventures of this little boy named Harold who loves his purple crayon and uses it to explore. Our project day, this time, happened to coincide with a little cousin play-date action that was taking place. 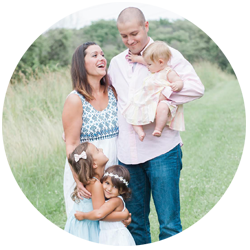 This meant almost three year old Cameran got in on the action as well. All you really need is a black and white print out of your child (I just set my paper on “Fast Draft, Black and White” to use the least amount of ink as possible and chose a photo that clearly showed each girls hands. I cut out the girls and glued them down to card stock. 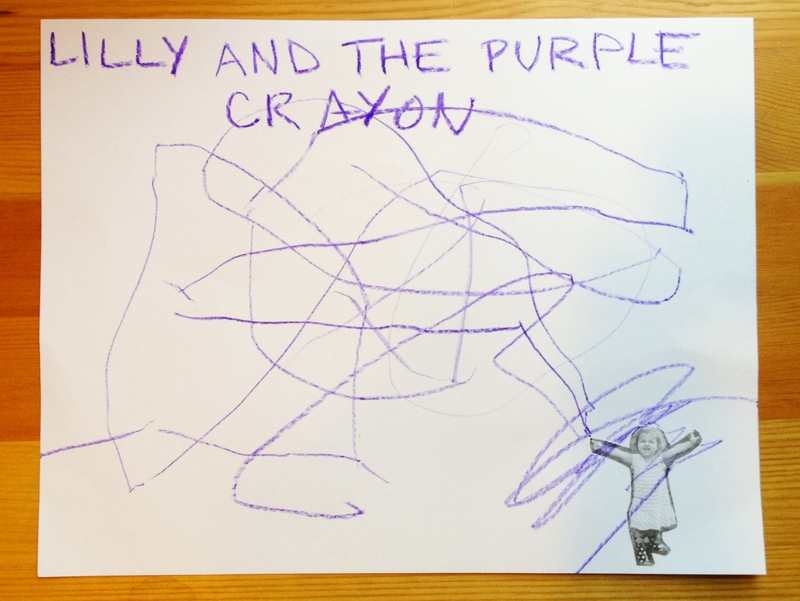 Just supply a purple crayon and you are good to go. In true Lilly fashion, she colored while simultaneously retelling the entire story I just read her- she’s got a memory as sharp as a tack. 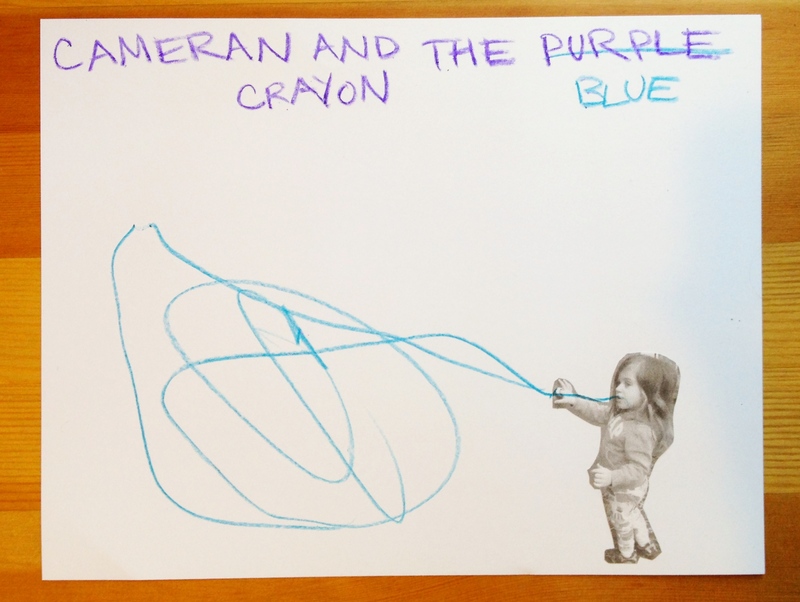 And Cameran kept saying, “I be Cammy and a blue crayon!” So there you go. Blue crayon. Go Cam. They also wanted to keep hearing the story again and again and kept running back and forth from the book to their picture to add another line or two. I guess Harold is pretty relatable. 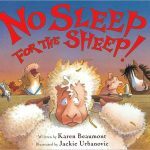 Got a great kids book suggestion for my Wordy Wednesday posts? A family favorite that your child would like to make a craft about? Leave me a comment! We are always on the hunt for new books to read!